If there's one thing the ARBOS Group isn't lacking, it's ideas. And starting today those ideas have room to grow in a cutting edge R&D and Testing center. The new ARBOS Engineering Center was inaugurated Thursday, 5 October 2017 before representatives of Local Administrative Institutions, Banking Institutions and the Press. The center is housed in the renovated Migliarina di Carpi plant - which already served as the historic headquarters for Goldoni S.p.A. - and underscores, once more, the rebirth of a company whose fate was uncertain until it became part of ARBOS GROUP SPA, 24 December 2015, a subsidiary of the Chinese Tianjin Lovol Heavy Industry Co. Ltd. 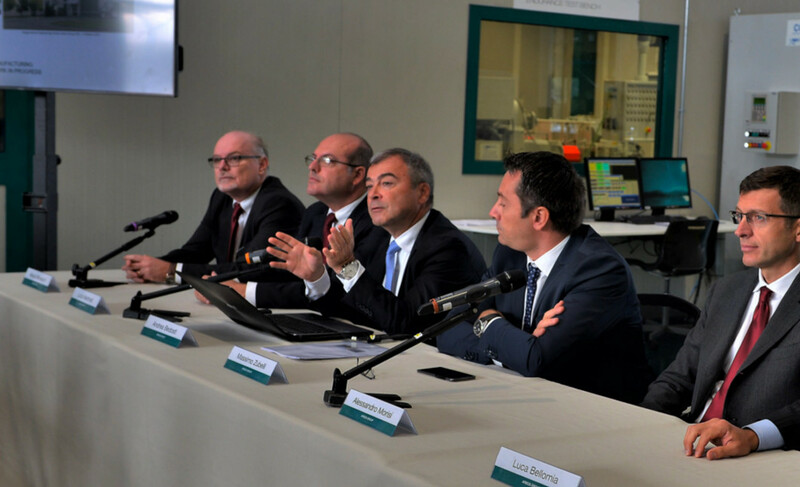 Milestone after milestone, Goldoni, a historic brand from Modena and now, with Mater Macc S.p.A., a key part of the GLOBAL PROJECT for ARBOS GROUP, is writing a new page in its own history and contributing to the Group's results as these near a revenue forecast of 80 Million EURO for 2017, with obvious benefits both directly on jobs and through spillover effects. The New ARBOS Engineering Center: Spanning 3,100 square metres, the new engineering center employs 57 engineers (11 division managers and 46 designers) organised according to a matrix structure for the development of the product platforms and competency centres (Engine - Transmission - Cab&Bonnet - Hydraulics and Electronics). 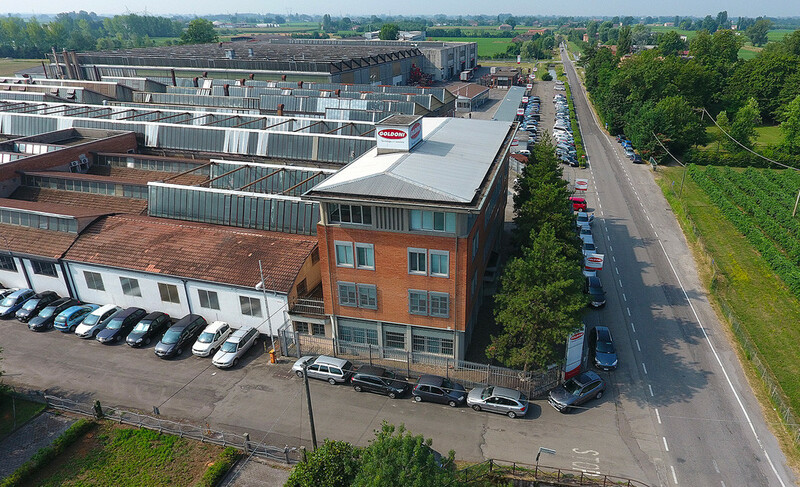 The new structure was created by uniting the pre-existent GOLDONI Engineering center with the complete transfer (structures and competencies) of Lovol EU Engineering, which had handled the development of all open field models for ARBOS over the previous five years. The recently completed expansion created a new floor with 500 square metres of office space and the extension of the 1,050 square metre testing area, which stands out for the modernity and modularity of its facilities. Subdivided into seven areas, it allows for the complete "bench" testing of the key components for agricultural machines. 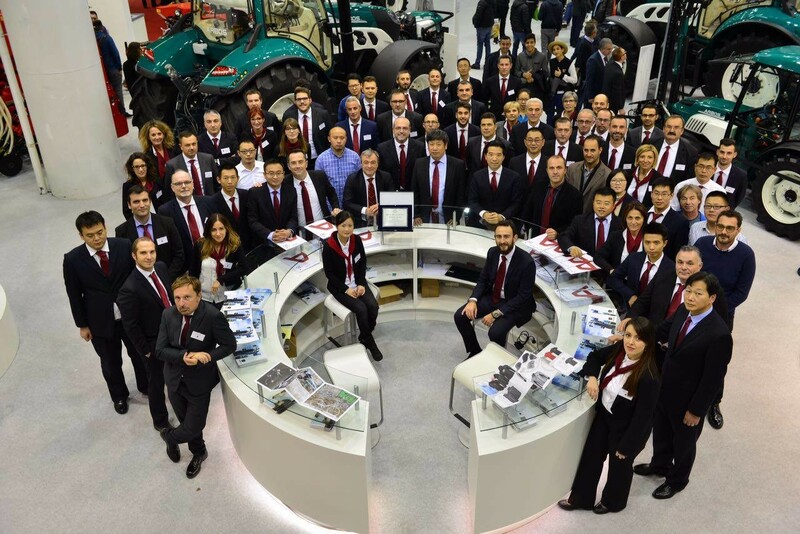 The modularity of the modern facilities allows for the evaluation and validation of the entire product range developed by the Group; from tractors specialised for working in orchards or vineyards, to the high-power open field range, up to 270 hp. Specifically, the FUNCTIONAL and ENDURANCE BENCHES can evaluate, 24/7, the functionality - power shuttle and hydraulic clutch - and resistance of the transmission, the core of any agricultural machine.